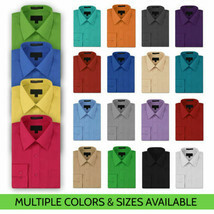 MORE COLORS AVAILABLE IN . 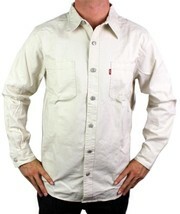 SIMPLE ELEGANCE: Made from a soft and comfortable cotton/polyester blend fabric. (60% cotton / 40% polyester) This classically stylish men's collared dress shirt comes in a modern fit which is slightly more of a tailored fit than a regular fit. It also features a front pocket and coordinates perfectly with virtually any jacket, trousers, suit and tie. 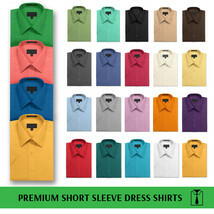 VAST SELECTION: Available in a myriad of appealing colors, ranging from light to dark, and subdued to bright, these classic dress shirts offer a multitude of wonderful wardrobe options. WELL PRICED, TIMELESS STYLE: Traditional in its design, this inexpensive, but very durable men's dress shirt will undoubtedly become a fixture in your wardrobe. And with a wide array of charming hues available at such a wallet-friendly price, why not buy a few? 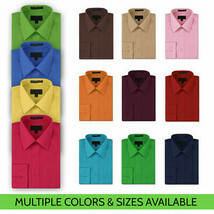 EASY MAINTENANCE: These collared men's dress shirts are machine washable, and may be washed separately or with similar colors. Tumble dry and warm iron.